You can add your blog to the feed by sending your name, school, job title and link to your blog to naisac15@gmail.com. Learn how you can participate in the online community for the 2015 NAIS Annual Conference in Boston. Everything you need to know is found here. You are invited to join in an online conversation to answer the question: What is a Maker Space? Learn more about how to participate at MakerSpace Forum. Check out the Tweet Archive for #NAISAC! This is an archive of all the tweets sent using the official hashtag #NAISAC and the older form of the tag. This automatically archives each tweet including all links shared. This can be an extremely valuable resource as we move through the conference and beyond. Knowing that there are a lot of resources shared through links posted to Twitter, you will be able to return to this site and capture all those “gold nuggets”. This archive is also posted on the NAISAC community site under Community Sites on the right side of your screen. Gear Up for #NAISAC 2015 and Download the App Today! This is an automated daily news paper that is created from the information shared by members of the NAISAC15 Twitter community. As members of the community share resources and ideas through Twitter, they are aggregated and categorized then presented as a daily paper. The list of independent school bloggers continues to grow. 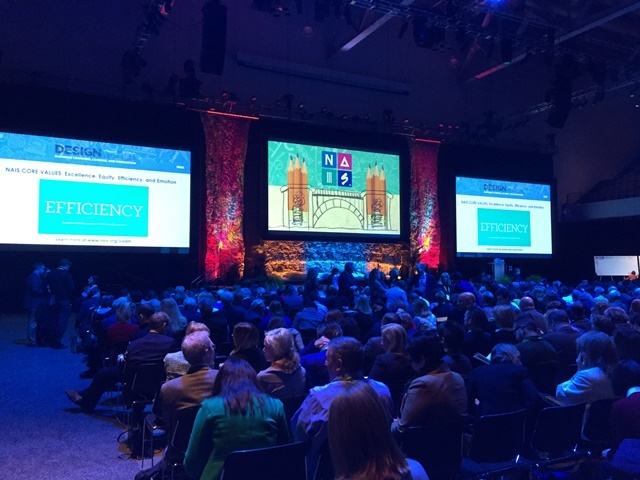 You can see the current list posted on the main NAISAC Online Community site https://naisac15.wordpress.com/. Additionally, you will find an active RSS feed of these blogs posted on the lower right side of the site. New blogs are being posted to the site and added to the RSS feed as they are submitted. Check out the following link for information on how to submit a blog link to the community of Independent School Bloggers. Check out the three submissions to the Gallery of Independent School MakerSpaces! This link will help you can learn more about how to add your school to this growing list. This gallery is designed to be a resource long beyond the conference. If you are new to the idea of “Making” and MakerSpaces, check out the Interactive MakerSpace that will be on the exhibit floor during this year’s NAIS Annual conference!